Paulette is my booklet coach. :) She was the brainchild of me doing the "115 PR Tips to Brand Your Ministry." All the info was in my head - Paulette pulled it out of me in less than a month and I have sold over 1,000 booklets around the world - and this technique has branded me too in the process. Read and listen to what she has to say. I just love her! 1. Create a tips booklet as a marketing tool, new revenue source, or both. Use “sound bites” you tell your clients, audiences, and prospects. Organize the tips into categories for your specialty. 2. Consider leveraging your booklet into different formats. Print it as a booklet, record it as an audio or video, develop it into daily reminder cards, or use a tip per day on a calendar. Those are some of the endless possibilities. 3. Explore ways to distribute your products. Some will be through publicity excerpts in print publications. Others will be sold direct in large quantity to single buyers. You may even license reprint rights for very large quantities or go to other languages. 4. Notice how products are an ideal balance for the service side of your business. Products can be a good match for a client's budget when they cannot afford or are not ready to purchase consulting or speaking services. Product sales keep your own schedule flexible while earning income. 5. Introduce at least one or two new informational products a year to expand your business. That keeps you in touch with your prospects, clients, and former clients each time you launch a new product, all while growing your business. 6. Recycle your knowledge to nurture your clients and to nurture your own business development. Use those resources you already have for everyone's benefit. Learn to surpass Paulette Ensign’s results of personally selling well over a million copies of her booklet in various formats and languages, without a penny on advertising. Many of her clients, worldwide, have done just that. Booklets are one of the best and easiest marketing tools you’ll ever create. Get started today. For the FREE Ebook that I did with Paulette email me at pamperry@tmail.com and I'll send you the Ebook of "62 Ways to Boost Your Business Success: Networking Tips from A Collection of Experts"
Also visit me at ww.PamPerryPRCoach.com too and join Chocolate Pages Network! Did you know that publishing a book can increase your brand visibility, credibility, and increase your speaking fees by $2,000? On Tuesday, April 14, 2009 at 8p.m. begin the journey of successfully publishing your book and becoming a well-branded author. Have you thought about writing or are you in the process of writing a book? Learn the ins and outs of self-publishing and getting your book published with a major publisher from an individual that has done it 18 times. New York Times Best Selling Author Omar Tyree has sold over 2 million books, he is teaming up with PR Guru Pam Perry to provide you valuable information on putting together a successful book concept, how to get it published, and how to market it. · How to reduce uncertainty regarding book publishing and marketing. · Determine if you want to self-publish or work with a publisher. · To become more knowledgeable about the way publishers and agents look at books. · Writing, publishing and marketing your book for maximum sales, including information on book subject, audience, authorship, representation, and more. · To getting more publicity, developing joint ventures, and increasing sales for your ministry, business, Christian book or other. · To developing an effective website that sells and increases traffic, month after month. Register for this teleseminar now! Tyree is a popular speaker on the university and corporate circuits. In his “Equation for Life” lecture, Tyree weaves together a full-proof formula for attaining lifelong success in business, as well as everyday living. Ideal for innovation, corporate sales and marketing teams, one attendee who heard the lecture commented, “Omar Tyree’s Equation for Life speech made me rethink my whole life - it has given me the focus I need.” The success of the speeches over the last 11 years landed Tyree his first nonfiction book deal with John Wiley, the number 1 business publisher in the world. 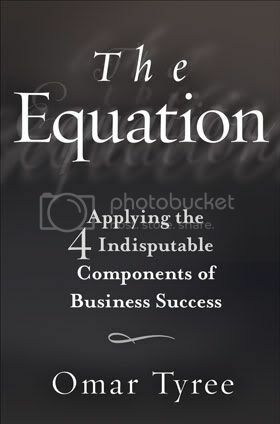 The Equation: Applying the 4 Indisputable Components of Business Success, was released in early January 2009. As an author, journalist, performance poet, songwriter, screenwriter,entrepreneur, innovator of various creations, and an energetic and fiery speaker,Tyree is no stranger to the world of contemporary urban influence. 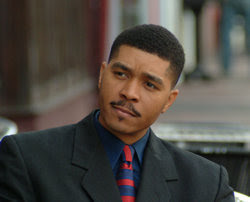 Tyree became one of the dominant literary promoters of the 1990s, leading to offers of publishing deals by a number of influential mainstream book publishers. In 1995, he signed a lucrative two-book arrangement with publishing powerhouse Simon & S chuster. A few years later, Tyree signed an undisclosed long-term contract that established him amongst Simon & Schuster’s top authors. Tyree’s articles have been published in the Washington Post, Essence,Upscale,Ebony, TheDailyVoice.com and several other publications. 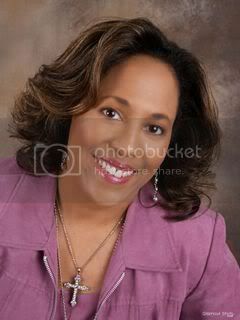 Pam Perry is a ministry marketing pioneer and expert in the African American Christian market. Her public relations and advertising career spans over two decades. 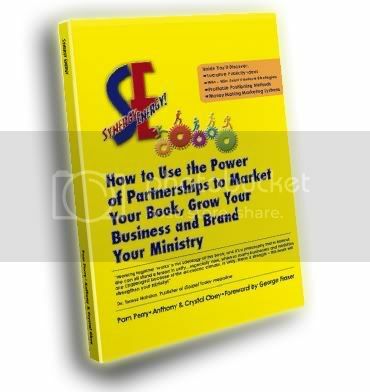 She is the co-author of “Synergy Energy: How to Market Your Book, Grow Your Business and Brand Your Ministry.” She is the Chief Visionary of Ministry Marketing Solutions Inc.
She spent the first ten years working in ad agencies and secular media. She has dedicated the past ten to ministry marketing. Her company has a roster of some of the most well-known Christian publishers and African American Christian authors in the industry. See www.PamPerryPR.com for her signature “Get Out There” PR Boot Camp Tool Box that helps authors get publicity and exposure right away. Her Company website: www.MininstryMarketingSolutions.com Get a free mp3! Detroit Free Press recently called her "a marketing whiz on an almost immortal mission" Publishers Weekly called her a “PR Guru.” Now, author of “Synergy Energy” and known as the “connector and PR coach,” Pam Perry knows how to pull the right people together for the right project at the right time and garner the right publicity. Her public relations and advertising career spans over two decades. A local Emmy Award-winning professional, Perry and has worked in the whole gamut of media ranging from the Detroit Free Press, various radio stations, and Christian Television Network (CTN). She has even published a 40,000-circulation magazine, Soul Source. Perry has provided PR counsel to clients like McDonald's while at Hermanoff and Associates agency and provided fund development and public relations for Joy of Jesus, Inc. and The Salvation Army. One of the nation's foremost experts in the African American Christian market, Perry is the chief visionary of Ministry Marketing Solutions, Inc., the public relations and marketing consulting firm launched in 2000. Some author clients include Bishop Thomas Weeks, Bishop T.D. Jakes, Bishop Donald Hilliard, Dr. Suzan Johnson Cook, Dr. Fred Price and Pastor Bill Winston. Her passion is Christian books and assisting writers in becoming authors through the American Christian Writers Association as president/founder of the Detroit Chapter. She hosts weekly teleconferences on various PR/marketing topics with self-published authors and provides PR counsel to ministries nationwide, training church marketing staffs. She is the creator of Chocolate Pages Network and The Chocolate Pages Show on Blogtalk Radio. After this teleseminar you’ll have all the solutions and the winning equation to get your book in print and promote it effectively. If you have a finished manuscript, you'll get the information and contact to have your finished, printed book in your hands in a month of less. You will get a handbook of the seminar, a recording of the session and an ebook on publishing. The BEST publicist for your book or project is you. No one will have the passion, energy and heart for your creative work that you do. You wrote it, you understand it, and now you want to use what's in your hands to make a living from it. We’ll give you the winning equation to do it all. The success of your book is ultimately in your hands. Omar and Pam will give you the guidance to "get out there" to make your dreams come true. P.S. All participants will get a bonus of the digital version Synergy Energy book and a FREE 30 minute consultation after the event. Eight Mistakes that Business Bloggers Make And How to Avoid Them! I recently had authors Alison Yoo and Lena Claxon on the Synergy Energy Show. click to hear the interview here as they discuss their book: How To Say It Marketing with New Media! (This book has been on the Amazon best-seller list for over 6 months!) It's the epitome of Synergy Energy! More small business owners are blogging now than ever. According to a 2006 survey by Pew Internet, the number of blog readers has jumped to 57 million Americans. And Blogworld Expo 2008 claims that 89% of companies surveyed believe blogs will be even more important in the next five years. Why is there such an unprecedented interest in blogging? Business owners have learned that blogging will raise their search engine rankings and increase their online visibility. Blogging is low cost and high impact, allowing them to reach a global audience in less time than with other marketing methods. Blogging can help to build their own loyal community, cement their expert status and more. With these significant benefits, business owners are leaping to blog on the information highway. But many landmines or mistakes lurk on the blogging path that can easily trip-up the unsuspecting blogger. Mistake #1: No branding. When the look and feel of a blog deviates considerably from the blogger's other marketing products, the user experience is diminished about who you are. Reinforce your brand in the customers' minds by creating a consistent look and feel with your website, e-zine, as well as your offline marketing-- business cards and brochures. Add your photograph and a bio to take your blog out of the anonymous realm. Mistake #2: Infrequent or sporadic posts. Writing a half-hearted blog is begging for mediocre response - not only from readers but also from search engines. No question, the more you blog the higher your search engine rankings. Schedule a block of time once per week and write all your blog posts. You can then set the days and time in the future when you want them to post. Mistake #3: No participation in the blogosphere. A whole new world exists out there called the blogosphere. It's rich in information and collaboration. It's also a reciprocal community. Study at least five blogs in your industry and comment on their posts. Visit a blog directory like www.technorati.com and choose blogs in your genre.. Mistake #4: Ignoring comments. If someone takes the time to comment on your blog then that person wants to interact with you. Do you have to respond to every comment? Yes and no. If there are only one or two comments then respond directly. But if you're lucky to amass a ton of responses to your post then a collective response is fine. Mistake #5: Irrelevant /or non-engaging content. The prime objective of blogging is to share valuable content with your audience. If the content is not targeted to your audience's needs then you will lose them fast. Compile a list of challenges that your target audience may have and address their needs every time. Offer information that they may be interested in from the news, books, other people's blogs, industry trends and case studies. Use audio, videos and images to engage your audience. Mistake #6: Minimal promotion. Promotion is to blog as location is to real estate. You could have the greatest house in a poor location and nothing happens. Same thing with a blog. You must promote your blog to the major search engines and blog directories. Use feeds to automatically distribute your posts and encourage subscriptions in your e-mail signature. Mistake #7: Missing contact information. Once upon a time a reporter clicked on to an intriguing blog, read most of the posts and decided to feature the blogger in a magazine. However, it did not happen. Why? The blog had no contact information. Display links that lead back to your website as well as your e-mail address on your blog. Mistake #8: Readers can't tell what your blog is about. After clicking on to your blog and scrolling down a few entries, readers still wonder: What is this blog about? You need a succinct marketing message on your blog's sidebar that tells your readers who you serve and what you do. About the guest blogger: Lena Claxton (pictured right) is the Chief Marketing Maven of NewMediaMavens.com, a small business technology solutions company. She is co-author of the book, "Marketing with New Media: A Guide to Promoting Your Small Business Using Websites, E-Zines, Blogs & Podcasts. Order the book. 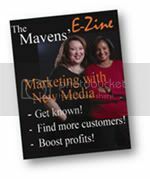 For more information, visit www.newmediamavens.com. She can be reached at 704-780-1968 or at mavens@newmediamavens.com. · How do I set one up? · How do I get people to read it? · What is a widget? Where do I get one? · Should I put it on my website? · Is Wordpress best or Blogger? · How do I do a Blog Tour? And participate in one? · What about Podcasts? How do I do that? · Where do I get information to blog? · How much time will this take? · Can I sell my book on my blog? · What is an RSS Feed? Feedburner? Is it dangerous? · And finally we'll go over the biggest mistakes bloggers make! Instructor: Pam Perry, PR Coach, Ministry Marketing Solutions Inc. with a surprise guest!!! GET OUT THERE! Get on Major TV Shows and Get Exposure for YOUR Book!